In 1994 fib Commission 6: Prefabrication edited a successful Planning and Design Handbook that ran to approximately 45,000 copies and was published in Spanish and German. Nearly 20 years later Bulletin 74 brings that first publication up to date. It offers a synthesis of the latest structural design knowledge about precast building structures against the background of 21st century technological innovations in materials, production and construction. With it, we hope to help architects and engineers achieve a full understanding of precast concrete building structures, the possibilities they offer and their specific design philosophy. It was principally written for non-seismic structures. 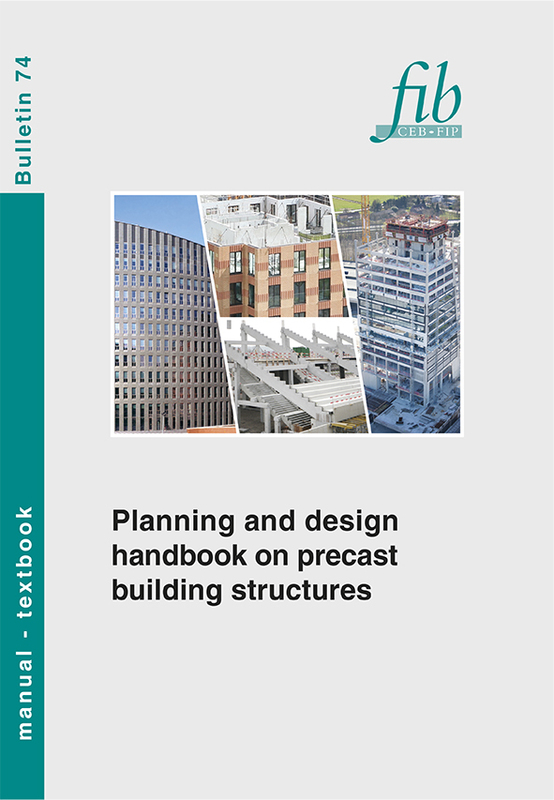 The handbook contains eleven chapters, each dealing with a specific aspect of precast building structures. The first chapter of the handbook highlights best practice opportunities that will enable architects, design engineers and contractors to work together towards finding efficient solutions, which is something unique to precast concrete buildings. The second chapter offers basic design recommendations that take into account the possibilities, restrictions and advantages of precast concrete, along with its detailing, manufacture, transport, erection and serviceability stages. Chapter three describes the precast solutions for the most common types of buildings such as offices, sports stadiums, residential buildings, hotels, industrial warehouses and car parks. Different application possibilities are explored to teach us which types of precast units are commonly used in all those situations. Chapter four covers the basic design principles and systems related to stability. Precast concrete structures should be designed according to a specific stability concept, unlike cast in-situ structures. Chapter five discusses structural connections. Chapters six to nine address the four most commonly used systems or subsystems of precast concrete in buildings, namely, portal and skeletal structures, wall-frame structures, floor and roof structures and architectural concrete facades. In chapter ten the design and detailing of a number of specific construction details in precast elements are discussed, for example, supports, corbels, openings and cutouts in the units, special features related to the detailing of the reinforcement, and so forth. Chapter eleven gives guidelines for the fire design of precast concrete structures. The handbook concludes with a list of references to good literature on precast concrete construction.